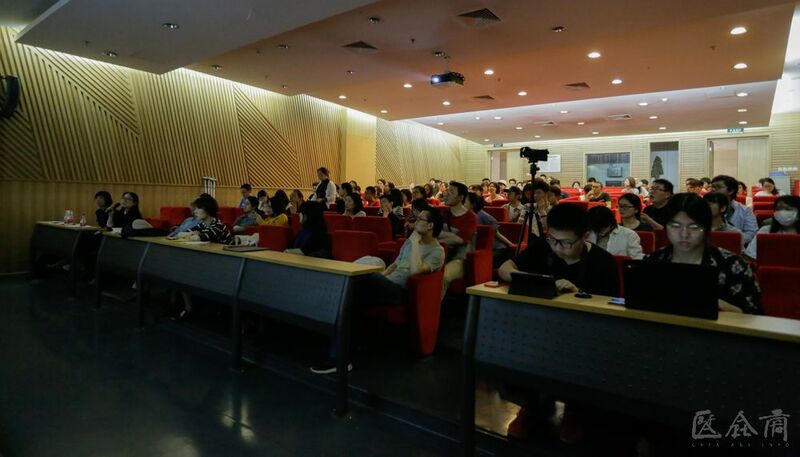 At 6:30 pm on 11 May 2018, “Egyptian Relief Palettes of the Late Fourth Millennium: Changes and Crystallization in Pictorial Art” was hosted at the red chair lecture hall of Building 7 at CAFA, by the School of Humanities at CAFA. 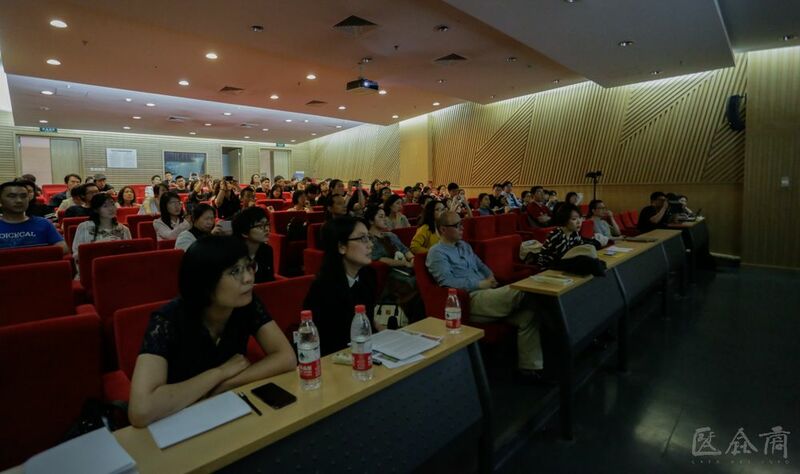 It was hosted by the Dean of the School of Humanities at CAFA, Li Jun, and the lecture was given by an academic from the British Academy and an honorary professor at the University of Oxford, John Baines. 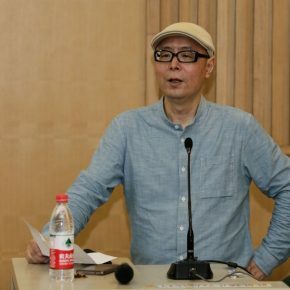 In addition, a professor and Egyptologist from the Department of History at Peking University, Yan Haiying was also invited to attend the discussion. 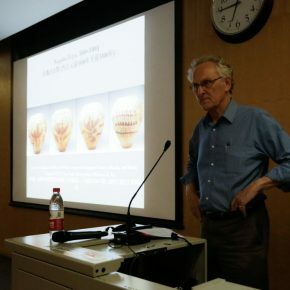 In the lecture, John Baines studied the relief patterns in the ancient Egyptian palettes, and used the decorative form of other Egyptian artifacts as circumstantial evidence in his presentation. He enumerated and analyzed the pictorial forms of more than ten Egyptian palettes, and has clearly reviewed the evolution of decorative forms of Egyptian palettes and the process of stylization of decorative images. 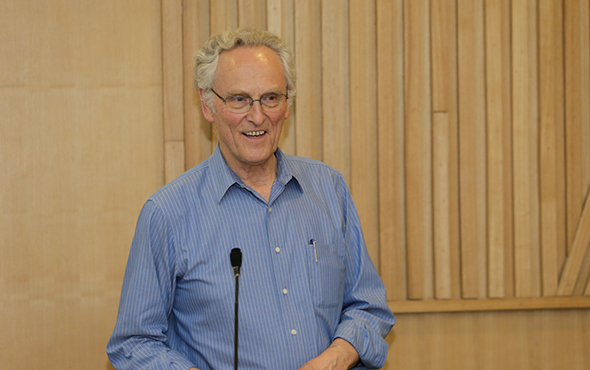 Prior to the lecture, Professor Li Jun briefly introduced the speaker: Professor John Baines, the Egyptologist who once taught at the American University in Cairo, the University of Michigan, Harvard University, University of Basel, École des hautes études en sciences socials, and now he is a visiting professor of Peking University. 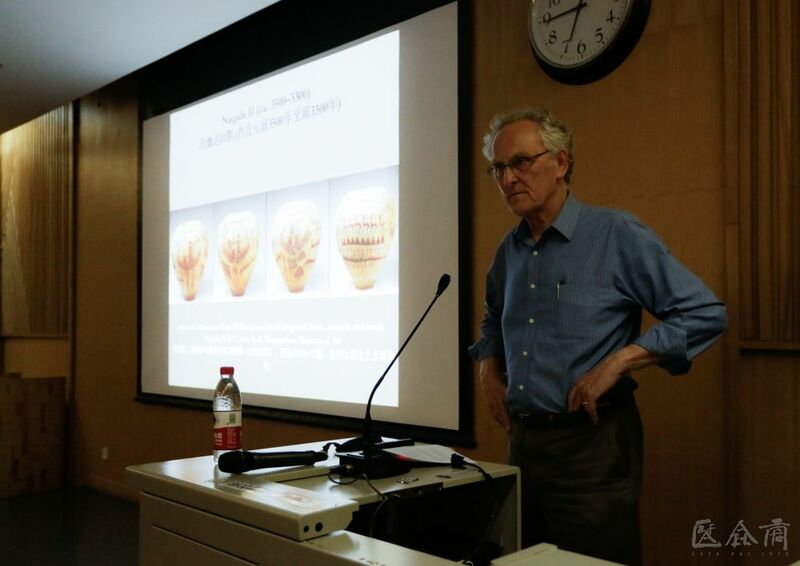 At the same time, the OEB that has been highlighted by the academic community, was also established by Professor John Baines, who is one of the most influential Egyptologist in the world. 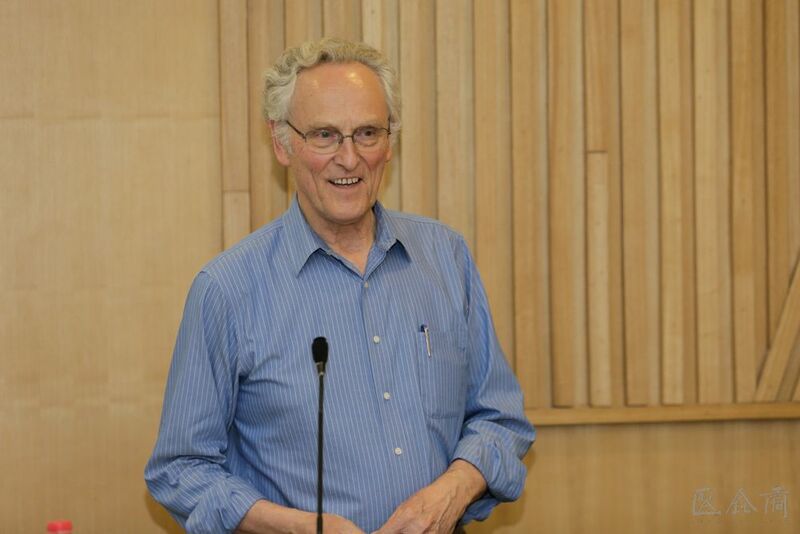 The speech of John Baines brought the audience to a distant space-time 5000-6000 years ago, namely the Nile Delta of Naqada II (ca.3500-3300) going through to the 1st dynasty (ca. 3050-2850). 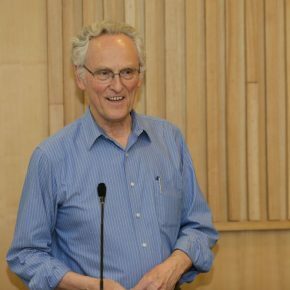 He focused on several ancient ruins: from Naqada and Abydos in the South to the Memphis in the North, and John Baines’ speech showed the audience a clear space-time clue. 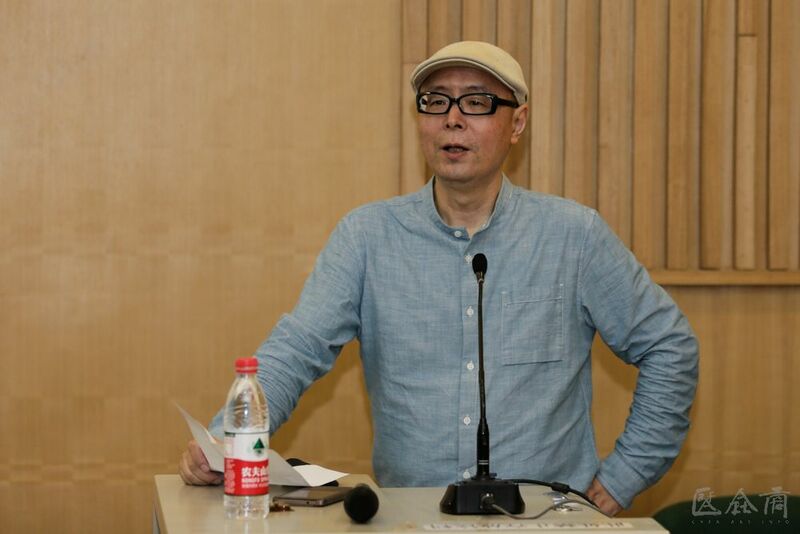 He narrated it from the end in order to help the audience understand the context. First of all, he shared with the audience the tomb stela of Wepemnofret from Giza in the 4th dynasty (ca.2500) and the reliefs and mural paintings in the tomb of Nefer at Saqqara in the 5th dynasty (ca.2350), and he also explained the features of decoration of ancient Egyptian relief art when at a mature stage: the images and hieroglyphs appeared at the same time, and the screen was divided up with straight lines. John Baines then took a group of decorative patterns on pottery of the Naqada II as examples to analyze how Egyptians used lines to construct spaces, decorated them with geometric patterns, and used the dynamic states of the animals and characters to narrate stories in the early days of Egyptian art. He analyzed the images of characters dancing, boating, and hunting as carved in the artworks that appeared in the same period and compared the images of the same theme occurring in the Egypt region and Mesopotamia region, in order to capture the origin and evolution process of Egyptian decoration patterns. Obviously, the early decoration form of the Egyptians was highly generalized. In the decoration of the screen, the environment was often expressed with geometric forms, and the “artist” at that time emphasized the relationships between men and nature and animals. Those images of daily activities of Egyptians hunting, raising and training animals, and transforming nature, have gradually evolved into fixed pictorial styles, for example, the figures holding sticks, the figures hunting animals, and the figures defeating and capturing enemies, etc., and these images were later used by the Egyptians as relief decoration of palettes. Based on the material shown by John Baines, we hardly see the decorative pattern in a palette in the early stage of the palette during the Naqada II period. The earliest palette with relief decorations presented by John Baines in his speech was the Hunters’ Palette in the Naqada III (ca. 3300-3000), which portrayed men carrying bows and truncheons, as well as injured lions. At the same time, the name of the king was presented in the form of hieroglyphs on the top of the palette, and the decoration form tells us the background of the kingship and combat that happened during that period. The use of a large number of animal symbols as decorative motifs is a major feature of the Egyptian palettes, and John Baines considered this decorative sign as a symbol of royal authority. Images of animals were usually metaphorized as the royal authority by the Egyptians. John Baines then said that the majority of the palettes with decorative patterns and were owned by the royal family. Made by elite craftsmen, those palettes symbolized elite art, were used for sacrificial offerings, and represented identities and ranks. Therefore, Egyptians tried their best to use symbolic signs to present the supremacy of the royal authority, the king’s ability to conquer territory, and the Egyptian’s belief in deities. When we see the fragments of the “Cities” palette in the collection in the Cairo Museum, it is obvious that one side was decorated by the reliefs of plants and animals while the other side was decorated by a city which was surrounded by 7 walls, and the name of the king was carved on the top of the city in order to announce the territory that the king had conquered. John Baines had a detailed analysis of the Narmer palette. It is well-known that it was the product of the royal authority, and all relief images were rich in connotations, and it was regarded as a representative of the Egyptian history of art. However, John Baines did not consider the Narmer palette as a best-made palette at that time, and it was only a palette of a stylized decorative form, and there were many similar palettes expected to be seen in the same period. Then John Baines mentioned that: In the early days of the first dynasty when a large number of palettes appeared, although the decorative form of the palette tended to be stylized, there were occasionally some “unconventional” special palettes, for example, those that appeared as an asymmetrical appearance of the palette in the Nile Delta region. During the late stage of palettes, namely at the end of the first dynasty, the decorations of palettes were simpler than the previous ones, and a large number of square palettes with few decorations were created and offered to the royal family, or were presented to the non-royal family by the royal family. John Baines reviewed the evolution of decorative patterns in the Egyptian relief palettes and shared it with the audience. 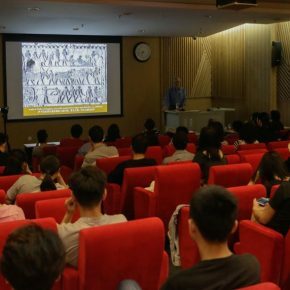 He used examples to analyze the decorative patterns in detail, which offered the teachers and students who were present at the lecture, a great learning opportunity. 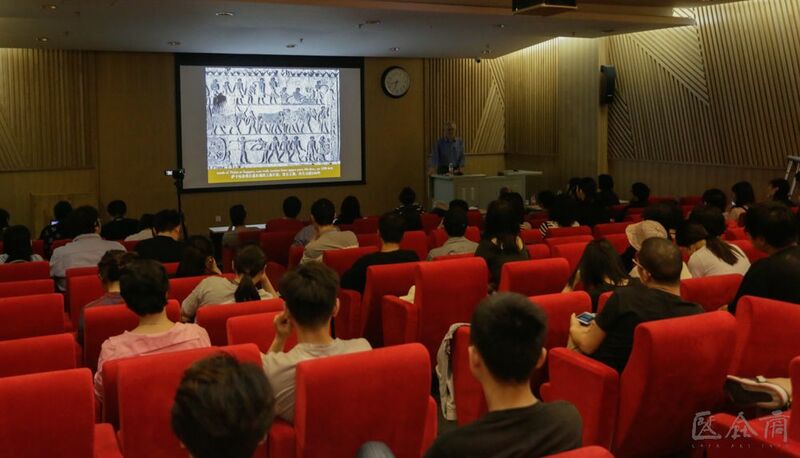 In the question and answer section, Professors John Baines and Yan Haiying also had a discussion on the functions of palettes, the interpretation of texts in the Egyptian pictorial art, and the Egyptians’ worship of “death” and the mythological beliefs. 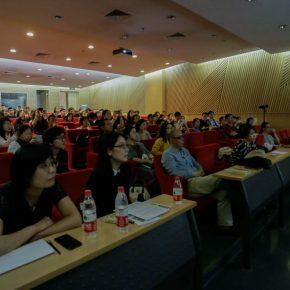 In addition, we can see the tremendous efforts made by the Egyptians to pursue beauty, as Professor Yan Haiying added at the end of the lecture: The Egyptians were the earliest producers of eye shadow and sunscreen. Egyptians painted the rims of the eyes with heavy eye shadow in order to imitate the eagles’ eyes, resulting in the creation of palettes which were used to grind cosmetic pigments. In the late period, the function of palettes had gradually evolved into the offerings and funerary supplies. With the infusion of elite consciousness, and the royal authority and myths were included too, Egyptians created the beautifully decorated palettes that we see today.